Every town wants to be known for something great. Traverse City has the cherry, Holland has the tulip and Detroit had Motown. When I tell someone I’m from Jackson I get one of three things: the prison, the ice cream Parlour (whose behemoth 21 scoop ‘Dare To Be Great’ challenge is legendary) or The Cascade Falls. This beautiful 500 foot tall man-made waterfall is a much beloved attraction of Jackson. 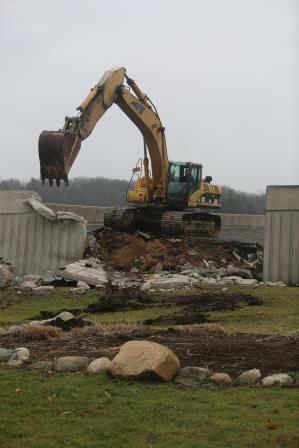 It is always surprising to me that, to some, it remains Michigan’s best-kept secret — most Michiganders are probably more familiar with a different musical fountain (the one in Grand Haven). The Cascades was built by “Captain” William Sparks, a wealthy businessman, three-term Jackson mayor and captain of the Jackson Zouaves Drill Team. The Zouaves was famous for their intricate 300 steps-per-minute cadence, and they traveled the world to appear in places such as the Ed Sullivan Show and in the movie The Court Jester. While traveling through Europe with the Zouaves, Sparks stumbled upon a fountain in Barcelona called the Magic Fountain of Montjuïc, whose waters danced to light and music. Inspired to bring this to his hometown, Sparks came home with a vision to change Jackson’s reputation as a “Prison Town” that even today we find hard to shake. Known for paying great wages to his employees, Sparks hired only Jackson workers for the project with a preference for men with families. 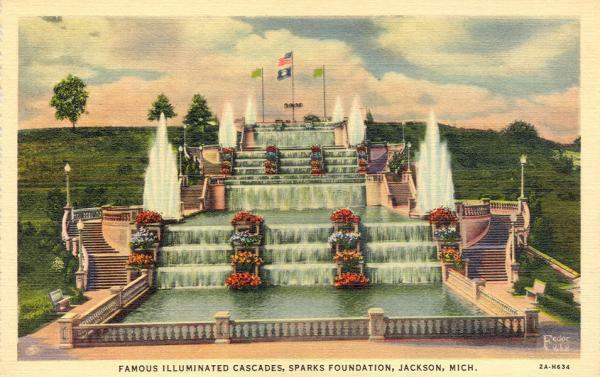 The Cascades was unveiled on his birthday, May 9, 1932, and drew a crowd of 25,000. Today, the visitor log includes entries from all 50 states and from 33 countries. 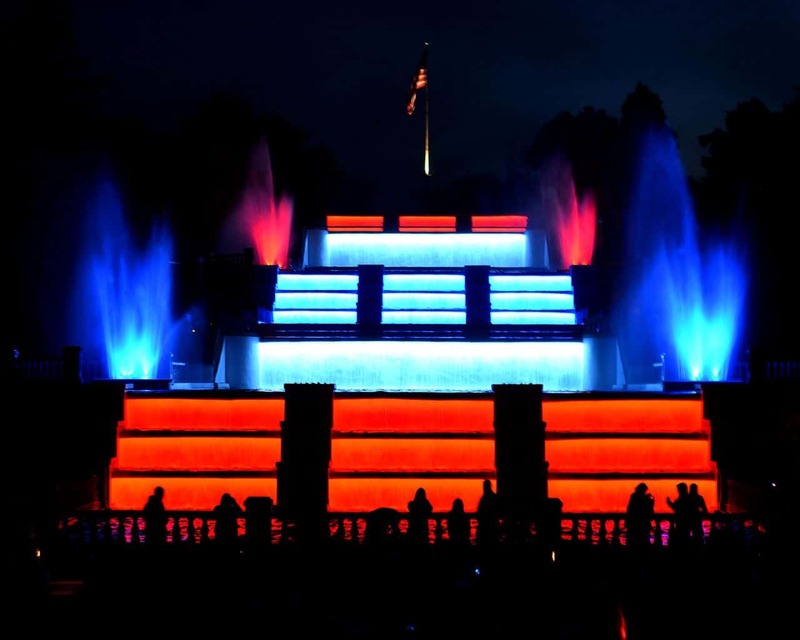 Between Memorial Day and Labor Day, nightly light shows dazzle visitors from around the world. Kids revel in climbing the 126 steps to the top to get sprayed by one of the six fountains. The whole family can enjoy live music nights, including the three holiday fireworks shows, Wednesday Family Fun Nights and Saturday Free Concerts in the Park at the Rotary Band Shell. The Cascades has also been the backdrop to countless engagements and weddings over the years. Click here for more information on The Cascades. Tagged attractions, Cascade Falls, historic places, History, jackson, Lansing Area, Monument, summer, The Cascades.